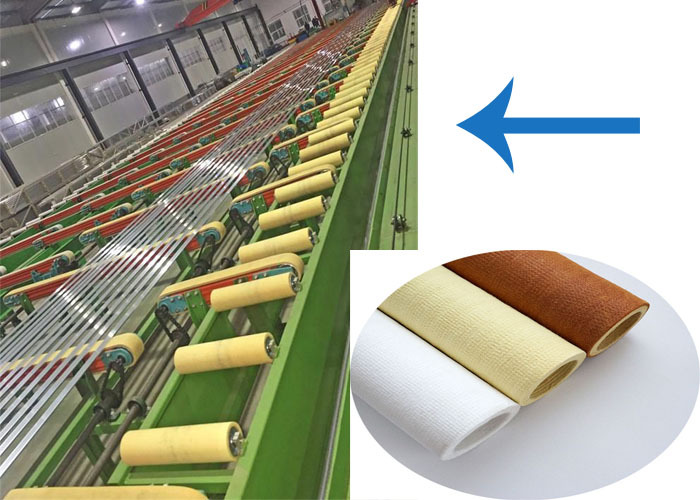 High temperature felt roller is mainly used for aluminum industry, the main function is to transport,transfer extruded aluminum profile, Avoid scratching and polluting aluminum, protecting its surface and improving the quality and grade of aluminum. Different materials with different temperature resistance, there are five kinds of materials to choose from:PBO+Kevlar(temperature resistance 600℃),100% kevlar (500℃),kevlar with carbon mixture(500℃),100% nomex(300℃),100% polyester (200℃).All the size could be customized according to your machine,welcome new and old customers to consult. 6. Competitive price and good service after sales. Applied to aluminum profile extrusion machine run out table and walking beams,Max temperature resistance 600℃. Our company solemn promise: my product will never appear fluff, tear, off the net, delamination, scales, deviation, elongation, deformation, aluminum pollution and other phenomena; provided by the original materials from the United States DuPont original factory Genuine. 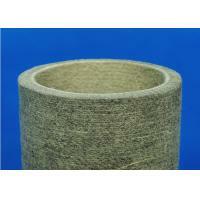 Product technical indicators in full compliance with DuPont's temperature, wear performance parameters. The company solemn promise: my product will never appear fluff, tear, off the net, delamination, scales, deviation, elongation, deformation, aluminum pollution and other phenomena; provided by the original materials from the United States DuPont original factory Genuine. Product technical indicators in full compliance with DuPont's temperature, wear performance parameters. Contact us to get the quotation details.